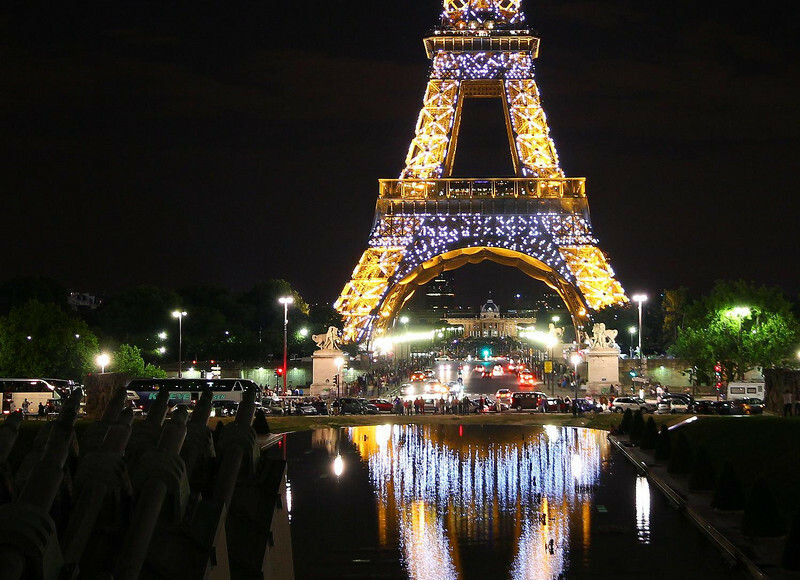 Every night on the hour since the Y2K celebration the Eiffel Tower breaks out into a special light show with high intensity, quick-flashing, bluish-white strobe lights all over. It lasts about 5 minutes. The rest of the time it is lit with thousands of amber incandescent lamps, which you can also see here, in addition to the strobes.